Nissan has confirmed that it will introduce the Qashqai nameplate to the Australian market for the first time when the next generation of its successful cross-over is launched. 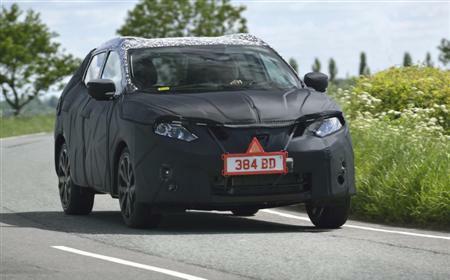 Currently undergoing pre-production factory testing, the second generation Qashqai is intended to set new benchmarks for active safety technologies, driver comfort and refinement. Developed and tested around the world in all weather conditions and honed to perfection at the Nissan Technical Centre Europe, in the UK, Nissan claims it will rewrite the cross-over rulebook. Note: Qashqai is pronounced ‘Cash-Kai’. The model name Qashqai has been in use since production of the first generation model began in the UK in December 2006. This first generation model came to Australia as Dualis.